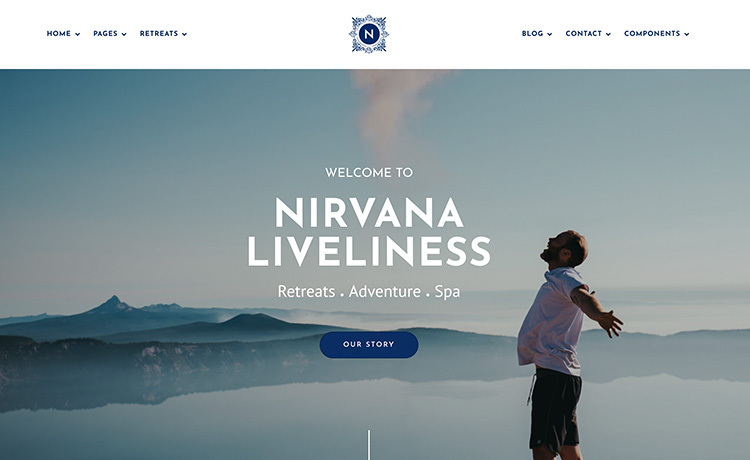 Create a simple, elegant and timeless web design – with Nirvana’s bold typography, 50+ well-composed layouts, organic animations, and parallax backgrounds. Designed, coded and tested by ThemeWagon’s creators. Live preview has font-awsome pro. Can I use them free of charge if I purchase this template? Doesn’t seem to be mobile friendly? Could you please tell me, exactly which page is not mobile friendly? The main nirvana page with the video background, Thanks. I can’t find anything. please give me screenshot. $39 is the final amount or we will have to pay something else also. our website is already running i want to update my into this style and if i buy this website then i will my data into it and run so please let us know how is the cost for this. If you buy the single license then you have to pay 39 dollars only. Yes, you can update your current website with Nirvana but you have to do that yourself or by a professional developer. Unfortunately, we don’t provide that service. Thank you for loving Nirvana. It’s surely a gorgeous template.